What Are the Disadvantages of Waist Trainers? It is a common desire of girls and women to have a tiny waist and a svelte figure. You cannot count the number of women who want to try different kinds of fad diets, exercise routines, dance routines and use fitness equipment so they can achieve the longtime dreamy stature. When it comes to waist training, the question is, will it be sufficient for many women? Of course, it has been proven by 18th-century women that wearing corsets and waist trainers can give a superficial effect on the body. It can reduce your waistline if you wear it consistently and of course, the goal is to wear it for hours within a day. 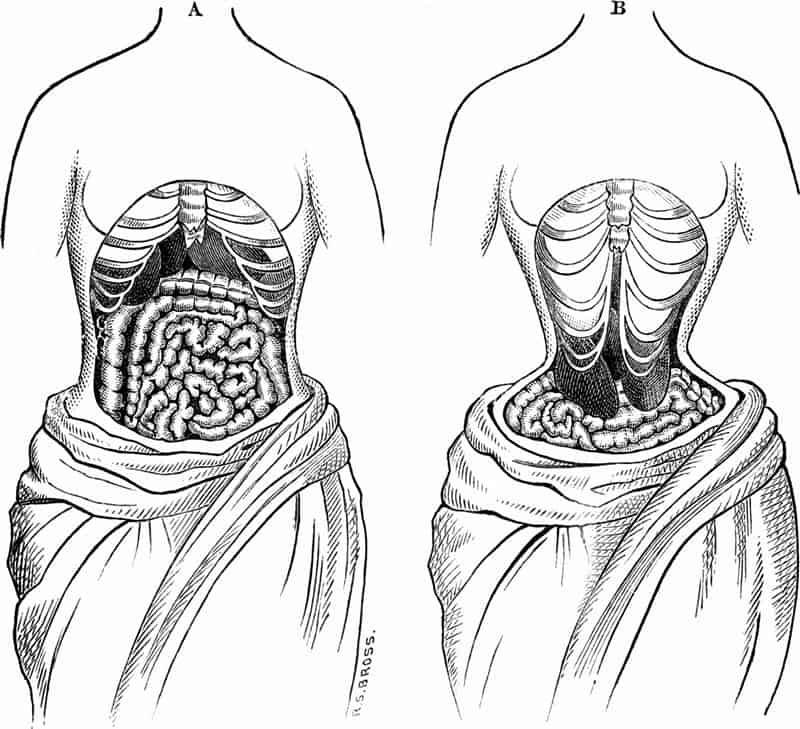 Some women have not tried waist training who are curious if it is indeed useful or not. They are also worried about the side effects of waist training. These are valid concerns that should be addressed by the people who want to lose weight using this method. Experts are warning us about the short-term benefits of waist training as well as the disadvantages. It is worthwhile to look into them so that you can make an informed decision to use waist trainers or not. Naturally, during your first few uses, you will know that it is uncomfortable but will this discomfort last a long time? There are various types of waist trainers with different style characteristics. Here are some of the most common types. The corset with steel boning has laces on the back, changing the proportions of your body sternly. A waist cincher looks like a corset but with hook-and-eye closures rather than laces. And it also has few steel columns or no bones at all. Also, it comes in two different material types: latex waist cinchers and fabric waist cinchers. Waist trimmers are made of flexible materials like neoprene, reducing abdominal fat by increasing waist temperature. Reducing water weight and removing toxins by promoting sweating are also its benefits. Does a Waist Trainer Work? There have been a lot of studies conducted that claim that waist training is useless because the effects are short term. Experts are saying that it will not be valid for a life transformation. Women want to be fit, healthy and attractive for a long time even in their older age. 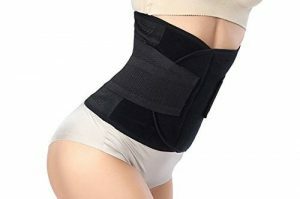 They want to remain confident and happy with their bodies, but if waist training is only temporary, they will only be disappointed with the effect. There is hope though because just with every exercise routine or diet, it has to be done long term, so the results are sustainable. When it comes to waist training, you also have to do this for a more extended period such as six months to more than a year so that your body can be able to adjust to the new frame. Doctors from all over the world claim that waist training can harm your external body as well as squeeze the frame of your internal organs. With x-ray, this can be detected, and if women are not careful, this can happen to their bodies. It is highly advised that these women should consult with fitness experts before they try waist training. Women’s bodies are not created alike which merely means that the reaction of each body is different. Waist training may be suitable for some women while to others, and they are not. That’s the problem if you believe in the testimonies of everyone you meet regarding weight loss programs, you tend to have the wrong decision. It has to be clear that waist training has advantages and disadvantages. You have to open your mind even to the cons because it is your body that is on the line. Your health can be affected by extreme waist training which can be addictive especially if they see that the results are visible in their body. We think that waist training can be useful in losing weight and it has positive psychological effects as well which is helpful to women. The progress in using waist trainers is motivating women to continue. Even women who have just given birth are convinced that through waist training, their bodies can change and become sexier just like before they have been pregnant. It gives them hope that some temporary insecurity during their pregnancy can be offered resolved and they can feel confident as women again. When all is said and done, we cannot deny that wearing corsets can alter our body. Sometimes, in some cases, it can be hazardous to our health. If the corsets are too tight, the wearer cannot breathe properly, or their abdomen cannot move freely. This case is dangerous because the lungs are affected by this method. We don’t want you to have a hard time getting used to this type of body training. It has to be comfortable enough for you to breathe well. Can you imagine wearing corsets and not being able to move well and breathe normally? You will be wearing a waist trainer for hours, and this can harm your body if you do not take into account this temporary disadvantage. When your waist is tied tightly, you must feel uncomfortable, which is the case when you wear a waist trainer. Even such discomfort can lead to many problems. Especially when shallow breathing, limitation of motion, a downward pressure or bruising occurs, and you need to take extra care. The diaphragm contracts when the waist trainer is too tight, reducing your breathing capacity to be confined to shallow breathing. In this case, a lack of oxygen can also cause fainting, dizziness and other health hazards. Therefore, don’t wear your corset too tight during training. If you wear a waist trainer for a long time, it may give rise to muscle weakness and even atrophy, so it ‘s best to keep it moderately and healthily, or it could lead to other complications. Reduced core strength can also occur when the waist trainer is worn too tightly. Long-term wearing the waist trainer too tight can cause the abdominal core muscles to become dependent on the waist trainer to sustain them, as they are used to doing nothing. Over time, these muscle groups become inactive as if they had been severed, and reduced core strength due to long-term use of a waist trainer can increase the chance of poor posture, pelvic floor problems, and back problems. Wearing waist trainers do not affect healthy digestion, but the waist trainer will have pressure on your waist, which will affect a complex network of organs including the intestines, esophagus, and stomach. To prevent this or relieve symptoms, you can take off the corset or make it looser while at the table. The cons of wearing corsets are serious concerns which should be addressed by a doctor or a fitness expert in the industry. We hope you can be careful when you decide to wear corsets every day for a specific duration. This weight loss practice can be problematic, but you should not take for granted that there are also numerous benefits for your body. It’s all a matter of being open to great possibilities for a better body and a happier self.